As just announced by Disney on Good Morning America, the Toy Story Land opening date will be June 30, 2018. Guests will shrink down to the size of toys as they explore Andy’s backyard at Disney’s Hollywood Studios. In Toy Story Land, there will be two attractions – Slinky Dog Dash and Alien Swirling Saucers. Slinky Dog Dash is described as a family roller coaster that bends and twists through Andy’s backyard. Andy used his Mega Coaster Play Kit to design this roller coaster to stretch Slinky Dog’s coils to the limit on this wild, toy-filled adventure. 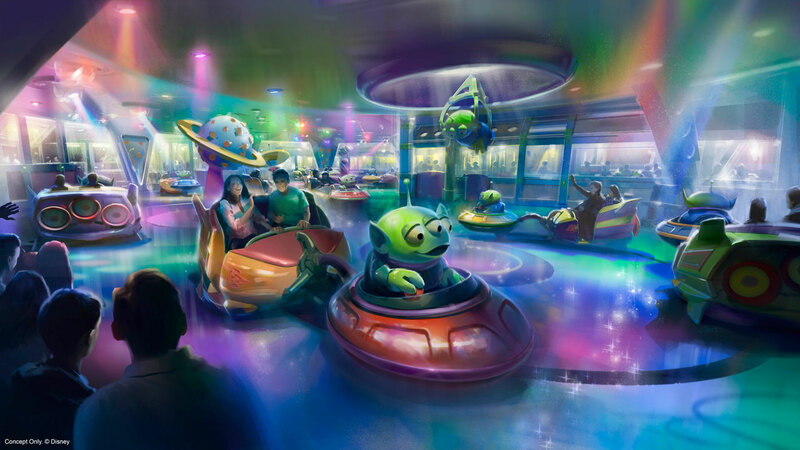 On Alien Swirling Saucers, guests will go for a wild spin set to electronic space music. The ride will see guests attached to the Aliens flying saucers and whipped around inside a play set that Andy won at Pizza Planet. 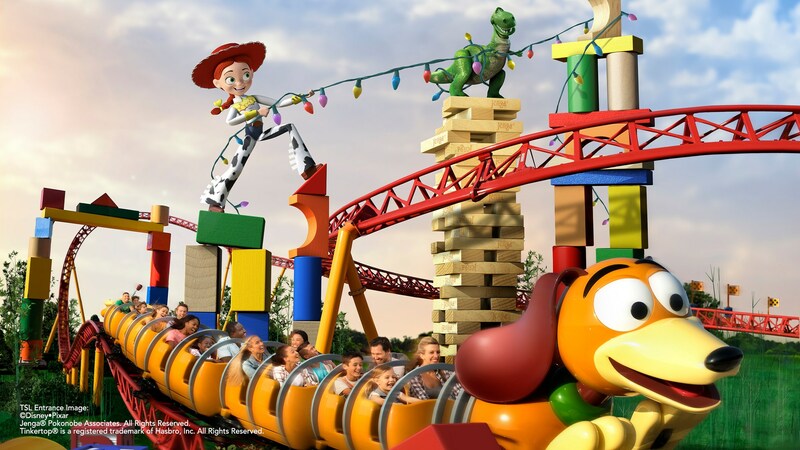 Toy Story Land was officially announced on August 15, 2015 at the D23 Expo Parks and Resorts presentation. The Swirling Saucers looks cute– SO relieved it isn’t another Dumbo/Aladdin/Triceratops type ride.